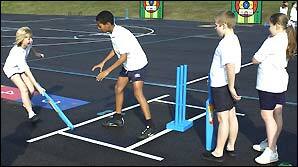 BBC Sport Academy | Cricket | Give It A Go | Find your local cricket club! Find your local cricket club! If you're desperate to start playing the game after school but don't know where your local cricket club is, help is at hand. The ECB, the body which looks after cricket in England and Wales, has set up a fab website called Play-Cricket to help you find your local club. All you need to do is enter which county you live in and the website will list all the clubs in your area. Cricket is getting more and more popular in Scotland. If you want to get playing in Northern Ireland, you've got two websites to choose from. So what are you waiting for? Get surfing! Can England bounce back in the Ashes?